Emory University, a private research university located in Atlanta, Georgia, has more than 7,400 undergraduates and 6,400 graduate and professional students. The university offers an array of undergraduate and graduate degrees. Emory University is known for its excellent undergraduate education in the arts and sciences and for its highly ranked professional schools. It received a chapter of Phi Beta Kappa for its strengths in the liberal arts and sciences. 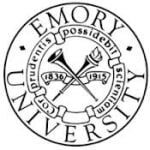 Due to its research strengths, Emory University is a member of the elite Association of American Universities. Most of the undergraduate students attend Emory College on the main campus; however, about 700 students begin in a two-year liberal arts program at Oxford College in Oxford, Georgia. Approximately 25% of the students participate in Volunteer Emory, the university's umbrella community service group.